Over 50 Brethren attended the final meeting, half a dozen of whom were Grand Lodge Officers including our own Assistant Provincial Grand Master, WBro Alan Kirwillian. 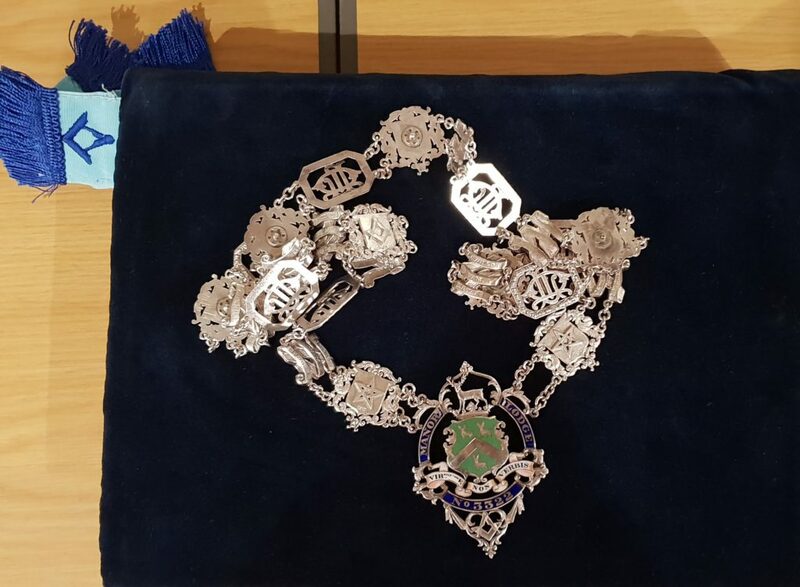 Once the Lodge had been opened and the general business had been conducted, WBro Kirwillian spoke to the Brethren and recounted the history of the Lodge and the important roles some of the Brethren had made, both Masonically and in Civil Service. An extract from WBro Kirwillian’s oration can be read by clicking HERE. The Lodge was then closed for the final time by the Worshipful Master and his Principal Officers, following which the longest standing Brother, WBro Roy Morris handed over the warrants to the Assistant Provincial Grand Master. This was obviously a very difficult thing to do, but Roy managed to hold things together and give a touching, and often emotional personal recollection of his time in The Manor Lodge. WBro Kirwillian promised the Brethren that he would look after the warrants and ensure they were passed on to the Province before travelling to their final resting place at Grand Lodge. The Brethren then left the Lodge Room to enjoy a final meal, during which everyone wished the Brethren all the best for their Masonic futures and that they hoped to see everyone in the various Lodges who will be benefiting from the membership of the various members of The Manor Lodge. A sad evening, but one that fully recognised the rich Masonic history of this well respected Lodge.